We know how you feel. You open a newspaper, turn on the TV, go into Facebook, and you know what awaits you there. Stories designed especially to frighten everyone from the phenomenon of evaporation. Every day is something new. We went through the most common and exaggerated lies that the media disseminates about evaporation, but how do they react? It takes ammunition to respond accordingly. Most of these facts are based on one single study, which was not done properly and proves nothing. But, what if you had a serious and serious answer, with big studies backing up your answer, about any fear or argument that attacks the evaporation phenomenon? We took care of you! Here are nine of the most common issues that appear in the news stories about evaporation, along with a serious study that refutes his claims. Igor Burstein of the University of Drexel, a toxicology expert, stated that there was no risk to someone standing next to a person who shuddered, breathing his steam. The study was funded by citizens through the CASAA (Association of Consumers of Smoking Alternatives). Several studies have shown that evaporation does not have a negative effect on the lungs. One of the more impressive is Dr's discovery. A polosa for informal smokers, beyond evaporation, or even a combination of steaming along with smoking to reduce the amount of cigarettes - has improved lung function. "Electronic cigarettes can cause asthmatic smokers to reduce the amount of cigarettes they consume, and even make them stop completely, thereby preventing symptoms of asthma caused by smoking," he wrote. "The positive results observed in electronic cigarettes enable us to promote the assessment that these products can help institutional patients who smoke and improve their condition by reducing smoking cessation." Nicotine is addictive in a way that comes close to heroin - or cocaine or any other drug that is thrown at you in the media to scare you. Many studies have tested the widespread belief about the extent of nicotine addiction. French experts Dr. Jean-Francois Etter and Thomas Eisenberg found that evaporation was significantly less addictive than smoking. 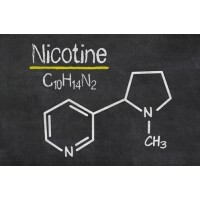 "Some e-cigarette users were dependent on nicotine-containing electronic cigarettes, but these products are not as addictive as tobacco cigarettes that contain nicotine. Electronic cigarettes can be addictive as, or even less, gum-nicotine, which are themselves, almost addictive. " "After switching to electronic cigarettes, nicotine exposure remains the same, while exposure to selected toxic and carcinogenic substances has declined significantly," the researchers report. Some waste studies have suggested that evaporation reduces the number of smokers who stop smoking. Wrong, says the next study conducted by the best British experts on rehab. In addition, it shows that the lowest chance of returning to smoking after a break is among evaporation users among all types of withdrawal. 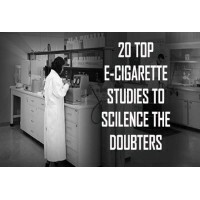 "Among smokers who tried to quit smoking without professional assistance, those who used electronic cigarettes to quit smoking showed the greatest signs of avoidance, unlike those who used other withdrawal products or any product," the study authors reported. The gate argument is the ugliest claim about evaporation, and any study purporting to show that this claim is true is revealed to have major faults with its methodology or a very small research population. Respected tobacco researchers Lynn Kozlovsky and Kenneth Warner have found no evidence of this argument and have even recommended that their colleagues make room for the evaporation devices as a means of preventing smoking. "Although there are studies that reinforce both sides of the argument, we now conclude that the likelihood of a growing smoking community as a result of youth using evaporation products is unlikely," said Kozlowski Werner. "Is it possible to eat the cake and leave it intact? It is possible, especially if a comprehensive logical policy of reducing damage will find a place in the world modern tobacco policy. According to this systematic literary review - a broad view of a group of existing studies - smokers will benefit from the move to evaporation. "Existing evidence suggests that electronic cigarettes are a less harmful alternative than smoking, and smokers who move from tobacco to evaporation will benefit a lot from health," said Farsalinos and Polosa. Use these resources as an educational tool. Most people do not know a lot (or nothing) about evaporation! All they know is what they see in the popular media, television and social networks. It's not their fault. You can not expect anyone to be an expert on everything. But we do need their support. It is our job to change the public's perception of evaporation. Can we confront science and scientists like Michael Siegel, or argue about reducing damage with experienced lawyers like Clive Bates? No, but we can show people that most of the time science is on our side when it comes to evaporation-related arguments by keeping a few studies at hand and learning about science ourselves. Remember that the most important point: although eviction has a few minor risks, the benefits of quitting smoking are so great that they dwarf the potential for harm. No matter what remote hazards appear in small-scale studies with limited examples, evaporation is much safer than smoking.